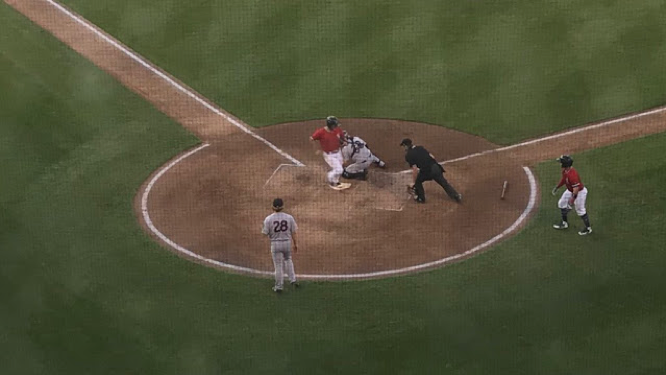 Syracuse, N.Y. – The Syracuse Chiefs’ May struggles continued on Wednesday. Having lost six of its last seven games entering the day, the Chiefs looked to bounce back to take a home series from the Scranton/Wilkes-Barre RailRiders. It took less than 20 minutes until we saw runs on the board in the top of the first inning. The RailRiders used a five-run inning and then some off of Chiefs starter Cesar Vargas to help secure the 8-7 series win. Vargas used nine pitches to get Scranton/Wilkes-Barre’s first two batters out, but it took 21 to get through the next six batters – five of which scored. It started with Clint Frazier’s double over center fielder Matt Reynolds’ head. Mike Ford drew a walk to follow. Adam Lind then stepped in a roped a single down the first base line to score Frazier and give the RailRiders a 1-0 lead. Two pitches later, Kyle Higashioka singled up the middle to score Ford. Then, RailRiders No. 7 hitter Zack Zehner launched a three-run home run over the left-center field fence to blow the lead out to 5-0 in the top of the first inning. Vargas bounced back for a 10-pitch top of the second inning, and Syracuse rewarded him with a run to cut Scranton/Wilkes-Barre’s deficit. Jacob Wilson knocked a double over RailRiders center fielder Shane Robinson with one out. Irving Falu struck out to follow. With two outs, Spencer Kieboom singled to bring in Wilson. The Chiefs tied the game in the third inning. They posted four runs, all with two outs on the board. Rafael Bautista led off with a single. After Adrian Sanchez flew out and Jose Marmolejos popped out, the Chiefs offense went to work. Newcomer Mark Reynolds walked, and Matt Reynolds (no relation) began a string of four consecutive run-producing hits for the Chiefs. Matt Reynolds brought in Bautista with a double off the right field wall. Jacob Wilson then roped a single off the glove of RailRiders third baseman Bruce Caldwell. Irving Falu and Spencer Kieboom followed with consecutive RBI singles to tie the game at 5-5 after three innings. Scranton/Wilkes-Barre regained the lead in the fourth inning. Zack Zehner walked to start the inning. Bruce Caldwell then doubled in Zehner from first to regain the lead, 6-5 to the RailRiders’ favor. Neither starting pitcher survived past the fifth inning on Wednesday. Scranton/Wilkes-Barre starter Chance Adams was pulled after 2 2/3 innings and Chiefs starter Cesar Vargas was given the hook after 4 1/3 innings. Scranton/Wilkes-Barre added insurance in the sixth inning. L.J. Mazzilli, Tyler Wade, and Shane Robinson singled consecutively with one out. Clint Frazier smoked a single off the glove of Chiefs third baseman Gengie Gonzalez. Everybody was safe on the fielding error, including Mazzilli, who scored to give the RailRiders a 7-5 lead. In a wild fashion, Syracuse tied the game at 7-7 in the bottom of the sixth. Kieboom and Gonzalez drew consecutive walks to start. Rafael Bautista stepped in and dropped a bunt down. SWB relief pitcher Joe Harvey threw the ball to third base to try and get the lead runner out, but the throw was wide. Kieboom scored from third, and Bengie Gonzalez motored home from first base to tie the game on the throwing error. The RailRiders responded in the top of the seventh inning to re-take the lead. Adam Lind led off with a double down the left field line. Kyle Higashioka then singled, advancing Lind to third. Two batters later, Bruce Caldwell singled in Lind to give Scranton/Wilkes-Barre an 8-7 lead, which is how this one ended on Wednesday. The two teams combined for 15 runs on 24 hits. Syracuse’s offense went cold in the final three innings. The Chiefs mustered just two baserunners in that span, and neither of them advanced past first base. Syracuse has now lost seven of its last eight games, dating back to May 2 at Lehigh Valley. The Chiefs drop back to an even 15-15 record on the season after starting 13-9 in the month of April. Syracuse welcomes the Pawtucket Red Sox into town for a four-game series over the weekend. Syracuse’s Tommy Milone is slated to oppose Pawtucket’s William Cuevas on Thursday. First pitch is scheduled for 6:35 p.m. at NBT Bank Stadium.